Kohei Oguri was born in Gunma prefecture, northern Japan, in 1945, and worked as a freelance assistant director to Kirio Urayama and Masahiro Shibata. 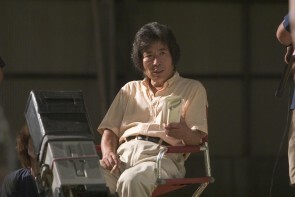 He made his directing debut in 1981 with “Doro no Kawa”, which was voted number one in KINEMA JUNPO’s best ten list, as well as receiving the Blue Ribbon Prize and the Mainichi Competition for Best Director. The film was also nominated for the Moscow Film Festival Silver Prize and the American Academy Prize (Foreign Films Section). In 1984 came “Kayako no Tame-ni” (For Kayako) written by Lee Hwe-Song, which won the George Sadule Prize, a first for a Japanese director. In 1990, “Shi no Toge” won both the Cannes Film Festival Grand Prize of the Jury and the FIPRESCI. All three of these films were set in the 1950s, and dealt with the themes of post war life and “the Japanese and I”. In 1996 “Nemuru Otoko” became the first film to be both written and directed by Oguri, and it drew much attention from being produced and set in his native Gunma prefecture. Now, nine years on, 2005 sees Oguri’s latest endeavor, “Umoregi”.